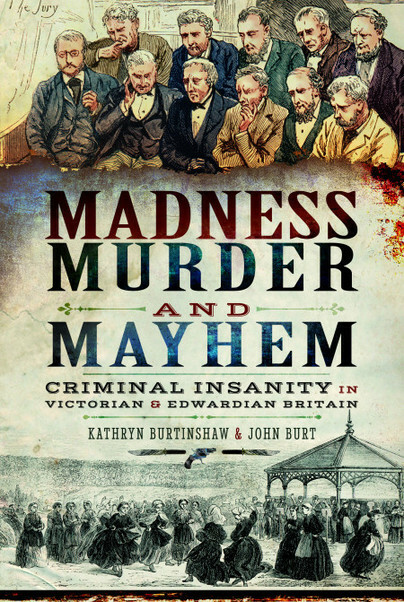 Check out the book, Madness, Murder and Mayhem: Criminal Insanity in Victorian and Edwardian Britain, by Kathryn Burtinshaw and John Burt, as featured in this post from the Quiet Knitter blog. Following an assassination attempt on George III in 1800, new legislation significantly altered the way the criminally insane were treated by the judicial system in Britain. This book explores these changes and explains the rationale for purpose-built criminal lunatic asylums in the Victorian era.